We love fashion and we love giving back to the community. All the Kings Men (ATKM) is a local non-profit organizations that helps young men build character and integrity. 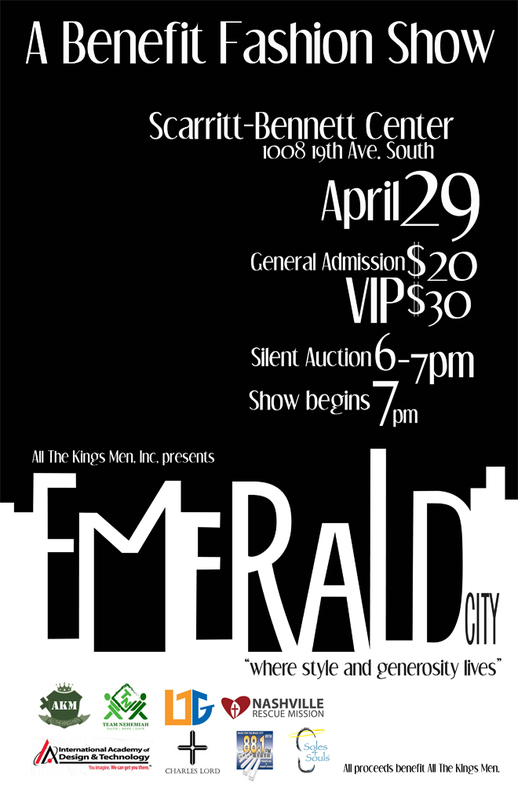 The Emerald City event is an annual fashion show that combines “fashion and philanthropy” in order to raise money for the organization. In addition, ATKM is collaborating with Soles for Souls and the Nashville Rescue Mission in order to bring awareness of the social needs in the area. This year Charles Brown, of Charles Lord Designs, will showcase his latest collection. Charles is a recent grad of O’More College of Design in Franklin, TN. His speciality is couture creations for his customers. VIP and Regular tickets are available at www.emeraldcity.eventbrite.com. Next postOPI plans to launch the SHREK collection, do we love it? This event is going to be awesome – dont miss it!